The above ponderings provide great glimpses for Balancing Life Attitude. This simply means to live a life in which both the head and the heart have equal contributions, in other words, a combination of rationality and intuitiveness. Some people say it is a balance function of the left and right brain. In this partnership, the right brain is called the feminine reflecting qualities of intuition, holistic, relational, subjective, imaginative, free, concrete and nonlinear. Then on the same platform, the left-brain is masculine reflecting qualities of intellect, analytical, rational, objective, prepositional and lineal. In its simplistic form a balancing point of view is that of a man who has balanced his feminine qualities (i.e. creative and intuitive), and a woman who has balanced her masculine characteristics (i.e. reasoning and objective). Maybe that's why it is said that God has both the aspects of feminine and masculine. As each one of us is a child of God and can have this ideal combination. For practical considerations, it simply means enhancing or bringing forth this ideal combination in us, which will open us and move us forward to fulfill our lives in a wholesome way. Looking deeply into this reality simply implies a healthy shift in one's attitude. An attitude is an individual mental state as how a person sees things and how he/she responds or reacts in a characteristic way to a stimulus (as an object, person, concept, or situation). This is an important subtle state within an individual, which affects the quality of life. It is between the physical-self and the higher self or Spirit/Atma of a person. The difference between a troublesome and trouble-free life largely depends upon an individual's attitude. It is therefore to examine our attitudinal qualities which if improved can bring us closer to our real nature: truth-freedom-awareness-blissfulness. In other words, if we are looking at ways and means to bring peace, love, joy, abundance, freedom and fulfillment in our lives, then we have to analyze our attitude; realize what changes need to be brought in to cultivate a 'Life Balancing Attitude. Here in this context, we are then also talking about bringing in a happy mixture of our worldly and spiritual lives. - Acceptance (recognizing in a mode of awareness the reality as it is in any situation and coming to grips with it.). - Openness (being free from any preconceived notions or barriers. It is not being closed minded, obstinate or stubborn about anothers point of view). - Present Moment Presence (being fully present in the moment and enjoying it by positively responding to it). - Being in touch with the Inner Enjoyer (experiencing this joy through inner stillness/silence). - Does things in a positive way and feels satisfied. There is no room for any complaints, hatred or jealousy whatsoever. - Feels powerful in the inner/Divine connection and makes full use of the inherent power, and in turn being connected to the Ever-Present God/Satguru's invincible Power. - A feeling of self-sufficiency in all respects. Being free and fearless as intrinsically as a person is. - Relaxed, smiling and surrendering in all a person does. - Being Peaceful, loving and joyful. - Effortlessly open to infinity, infinite resources, infinite information, infinite love and infinite joy. - Constantly engaged in appropriate action, established in the happy medium between two extremes and opposite points of views. And positioning as guided from within the inner silence. - Examines everything and seeks only that which is not limited or finite. - Daily Stillness "Sat-Nam" meditation. - Self-Observation with a determination to develop a balanced attitude. - Relaxing, smiling and surrendering. - Accepting the present as it is, and manifesting the future through ones deepest, most cherished intention and desires. - Relinquishing the attachment to the outcomes and letting the universe handle the details. - Remaining open to all points of view and not be rigidly attached to any one of them. - Making Conscious decisions with awareness. - Practicing more love and unity in action especially with those who don't work from this level and their predominant style is ego. There is innate awareness in all of us calling for bigger fulfilling experiences of life. Self-Balance/Self-connection is the master key to activate this central nerve of the Sat-Chit-Annad (Truth-Freedom-Awareness-Joyfulness) that we all are intrinsically. Sit comfortably with your back straight and eyes closed and be fully present. Bring your attention towards the flow of your breath, nostrils to navel and navel back to nostrils. Feel your abdomen rising and falling. Be there for a few minutes. Breathe into the base of your spine at your first energy center, the Root Chakra. 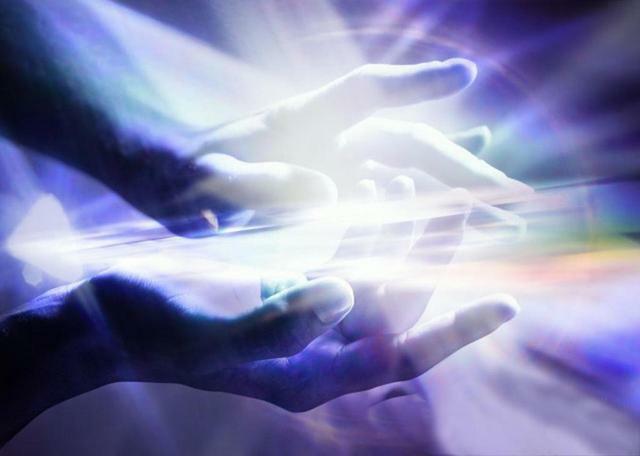 Visualize getting in touch with your own powerful dormant energy. 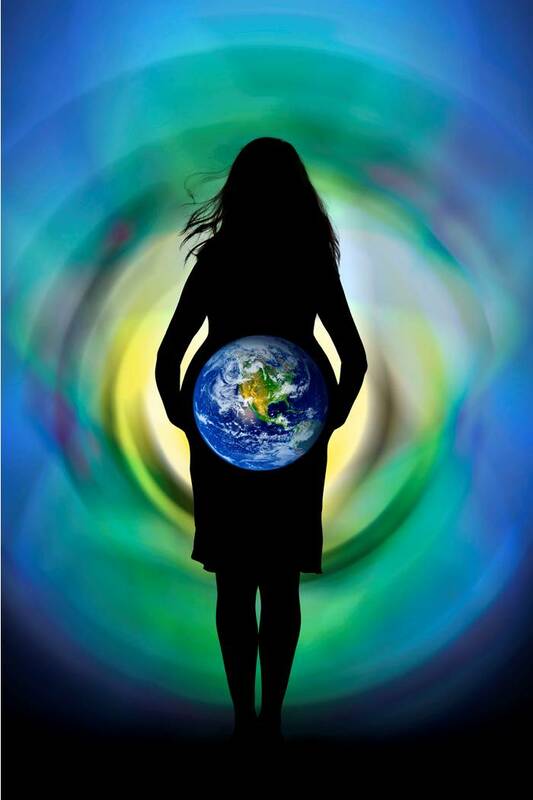 Affirm, this energy sustains me; I fully accept my life on earth as is. Visualize dormant energy rising upwards towards the second chakra, at your sacrum, the Sacral Chakra. Imagine getting in touch with your inner joy having joyful relationships. Affirm I accept others and myself and everything around me as is without any expectations. Stay there for a few minutes. Visualize energy rising upwards towards the third energy center around your navel, the Solar Plexus Chakra while invoking your strong inner will power and experience your high self-esteem. Affirm I honor myself. Stay there for a few minutes and feel that. Visualize energy rising towards the fourth chakra, the Heart Chakra, your divine love chakra where you experience your inner peace, love and harmony. Feel your deep compassion for yourself and others. Affirm I am unconditional love. Feel unconditional love for yourself and for everyone in the whole universe. Stay there for a few minutes. Visualize energy rising towards the fifth chakra, the Throat chakra where you get in touch with your inner clarity and confidence. Visualize expressing yourself freely, openly from your authentic self. Stay there for a few minutes. Visualize energy rising towards the sixth chakra, your spiritual center where you experience your true intrinsic nature by feeling fully self-sufficient. Affirm, I am a free and fearless being and my inner state is balanced. I am open to everything attached to nothing. Feel relaxed in your attitude while interacting with others. Feel effortlessly open to infinity, infinite resources, infinite information, infinite love and infinite joy. Stay there for a few minutes. Visualize energy rising towards the seventh chakra, the Crown Chakra, the center of oneness where you experience being one with your intrinsic nature and supreme nature. Repeat Sat Nam; energy in me is same as Supreme energy. Stay there for a few minutes. Bring your attention to each chakra, feel the free flow of divine energy flowing in your central body up and down. Feel your inner equilibrium physically, mentally and emotionally. Bring your attention towards your breath and gently open your eyes.